So, this past weekend my husband Zane and I got to spend some time back in his hometown of Odessa, Texas. 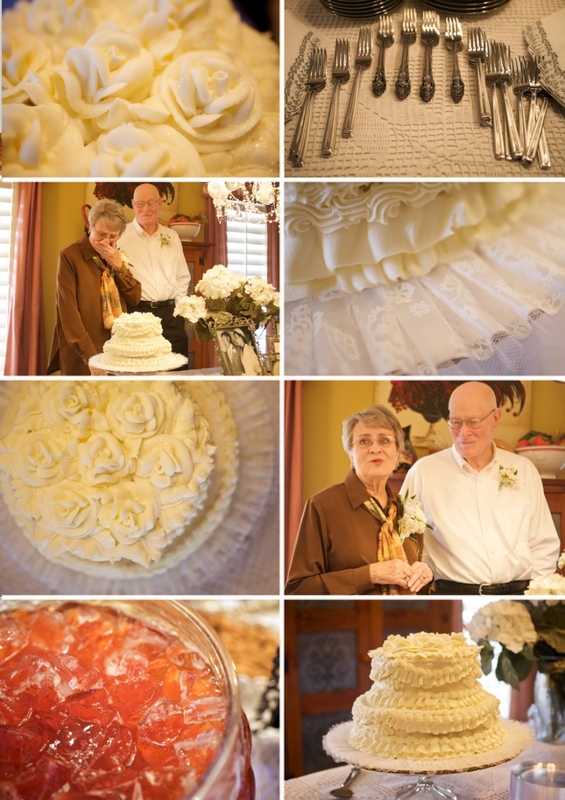 Zane’s grandparents, whom we affectionately call Mimi and Pa, were celebrating their 60th wedding anniversary. Zane’s Aunt Diana had the celebration at her house a few miles away in Midland, Texas. 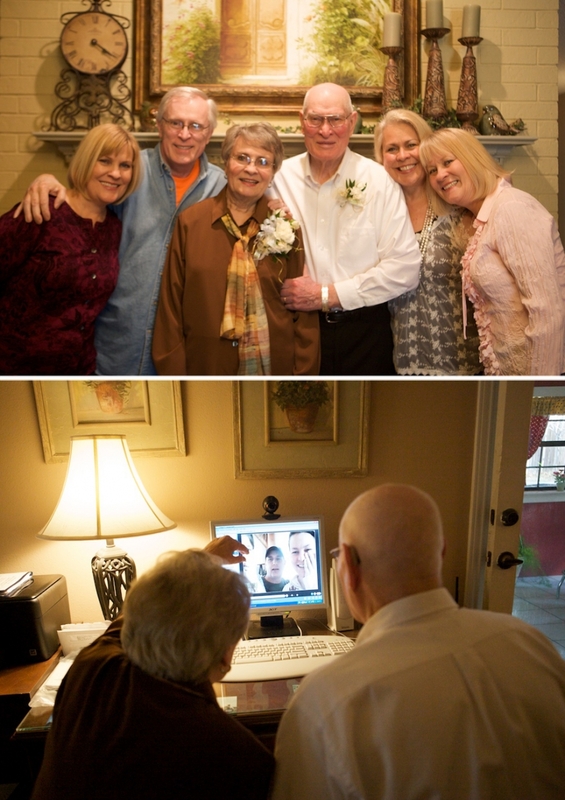 It was so sweet to be a part of their celebration, and to get to see most of Zane’s family members all in one sitting. Zane’s mom and aunts (among others, of course!) worked so hard at creating a perfect event that Mimi and Pa would enjoy… small and simple, yet filled with family and love. Pa had not ever gotten Mimi an engagement ring all of those years ago, so after a bit of encouragement, decided that a 60th anniversary was a great time to present his bride with a gorgeous solitaire engagement ring from Occasions in Midland. While Mimi has a wedding band, she has worn her mother’s engagement ring for the past several years. It was beautiful, and Pa even had a lovely speech to accompany the lovely ring. Watch the slideshow below, and scroll down to see more individual photos. The song accompanied is about a 50th anniversary, but it was so fitting, I decided it was fine for a 60th celebration. 🙂 Shanks, Tates, Nielands, and more, I hope you love the slideshow and photos! Here is the direct link to the slideshow … CLICK HERE FOR SLIDESHOW DIRECT LINK.